Are you an adrenaline junkie itching to raise money for charity? 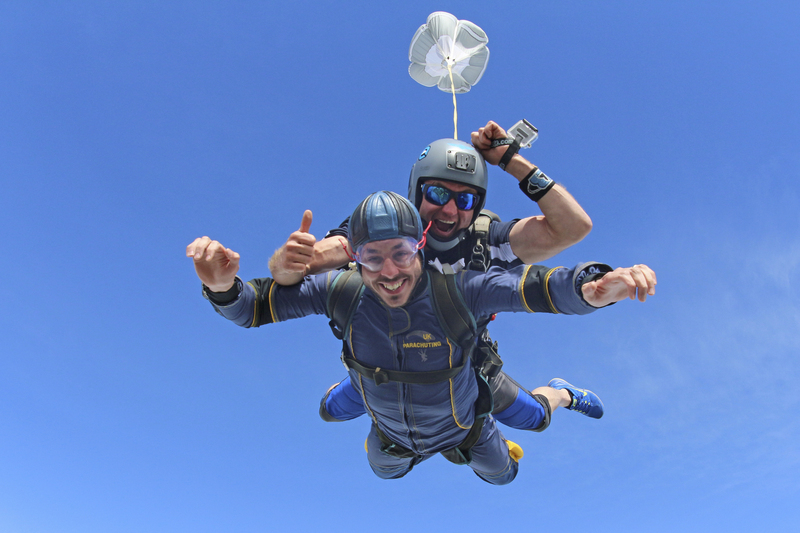 Then sky diving for charity is an obvious choice and a fantastic reason to take on one of the most spine chilling, epic, adrenaline-filled and life affirming experiences out there. We have all the information you need to plan your charity sky dive right here, whether it is picking a charity or finding a location to get up in the air. Browse our charity directory to find inspiration with a wealth of local and national charities in all sectors. You could support a tiny animal shelter three miles from your house, a local hospice providing inspiring care. You can back a national charity helping thousands of people, or even an international charity giving aid in faraway places. All of them desperately need your support, so pick one that means something to you. Most of us would never dream of jumping out of a plane to come plummeting back down to earth, so if you do, collecting sponsorship should be easy! Click here to browse a number of organised skydives for charity. Don't forget to give details about the charity you are fundraising for to inspire even more donations. For more fundraising tips and advice, click here.